As a supplier of diagnostic technology which tests for infectious diseases, Atlas Genetics wanted to exhibit at ECCMID to demonstrate their technology and increase brand awareness amongst their target market who were visiting the show. 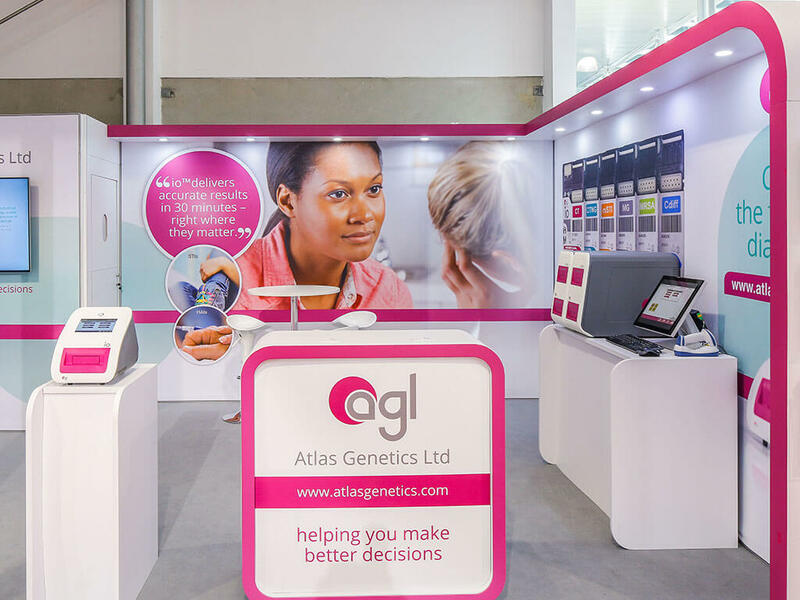 We designed a stand that reflected both the style of Atlas Genetics’ branding and their products, through using curved architecture with flashes of distinctive pink edging. 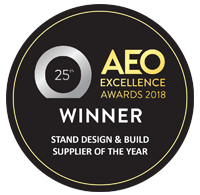 In keeping with the branding, we built curved benches and plinths for their diagnostic machine demonstrations, and a bespoke animation of how their product works. The animation was played via an AV screen on the stand and educated visitors when a member of the stand team was unavailable to talk to. 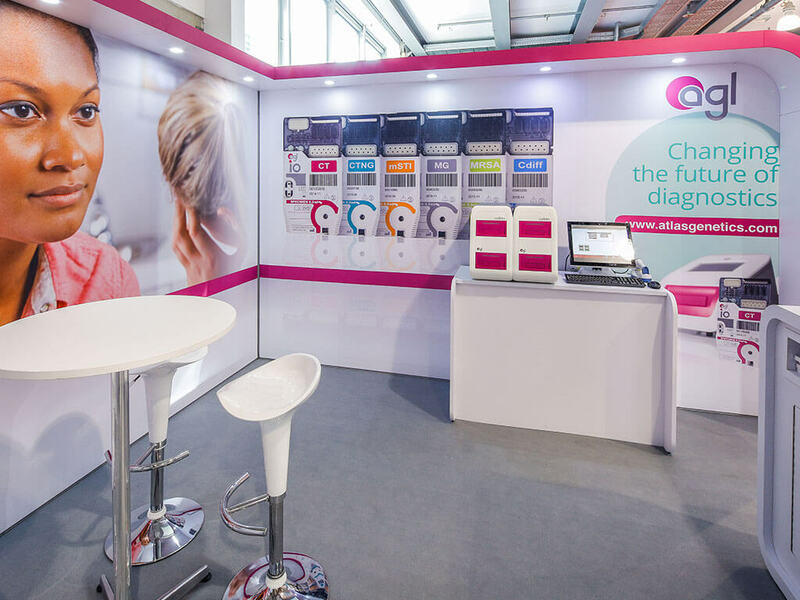 Across the two-day event, the selfie booth was used an impressive 411 times, providing CIPD with over 20 hours of visitor engagement as well as creating memorable experiences for the many professionals attending their annual conference. CIPD exceeded their target of collecting 200 new enquiries, achieving a total of 299 – a 73% increase from their conference in the previous year. 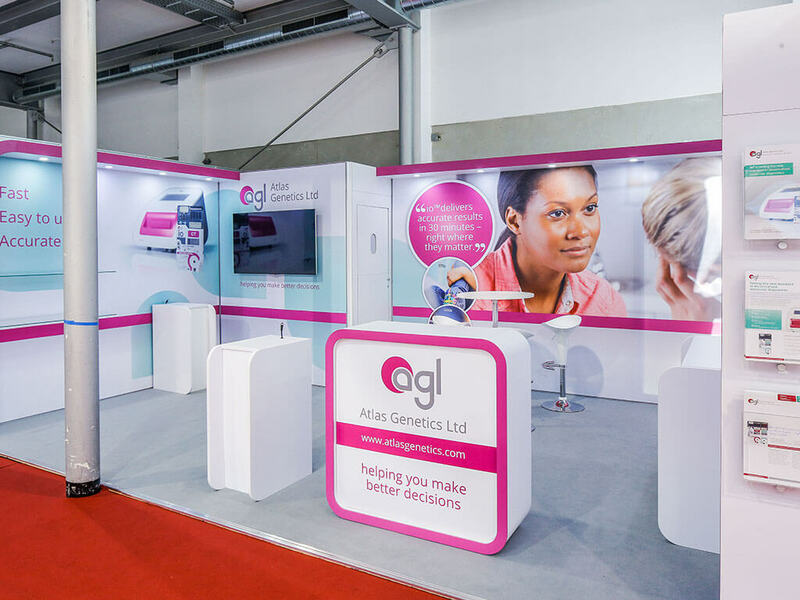 Ready to take your exhibit stand to the next level?